Derek McInnes is “very confident” that when Scott McKenna leaves Aberdeen, it will be for a club in the English Premier League and not their Ladbrokes Premiership rivals Celtic. The 21-year-old was the subject of a £3.5 million bid from the reigning Scottish champions earlier this week, which Aberdeen immediately rejected. 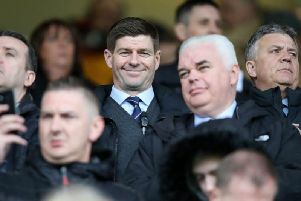 There are rumours that Celtic will return with a second bid as they desperate seek to bolster the centre of their defence before the close of the transfer window. McInnes, however, warns that they’ll be wasting their time, as Aberdeen are not looking to sell the player at this moment. He told the Mail on Sunday: “We’ve had a conversation with Celtic and made our position clear, and they’ve accepted that. “I spoke to Brendan and they’ve spoken at boardroom level. It’s difficult to react to another rumour that someone is thinking about putting in another offer. “McKenna’s market, for me, will be the English Premier League. We’re not in a position where we need to do a deal. We want him to be a big part for us this season and for me he’ll go to the English Premier League, and we’ll get the bigger ticket on the back of that. I’m very confident of that.